Brand new set of 2014-2015 GMC Sierra Black Halo LED Projector Headlights! Comes in a complete set of both Left and Right side. 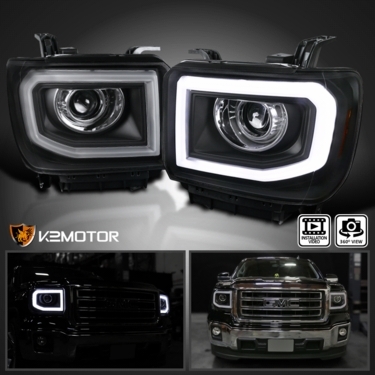 These projector headlights are make for plug and play ready, giving you an upgrade for your vehicle with minimal cost. 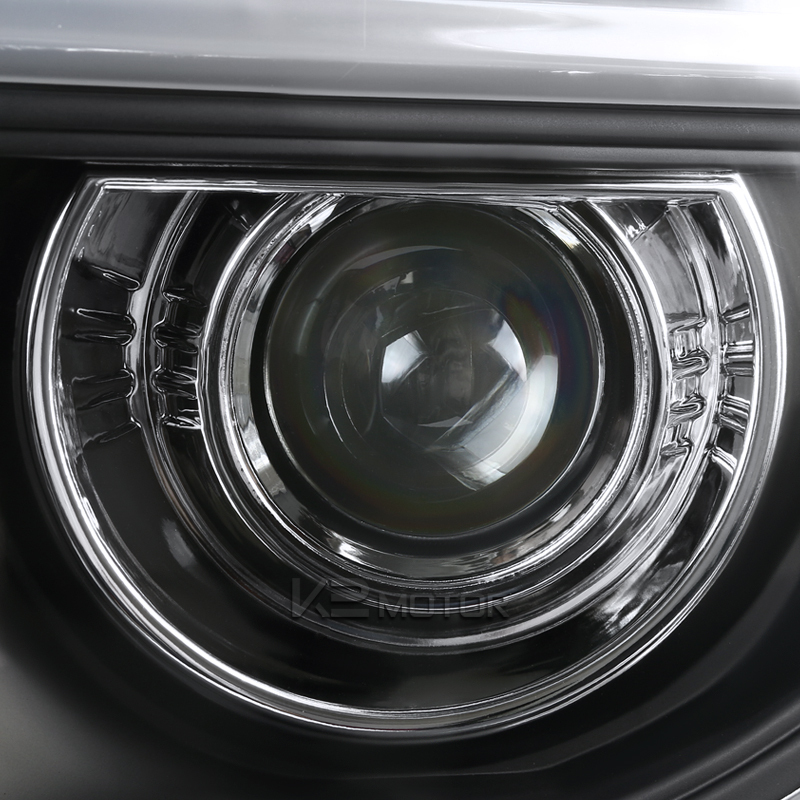 With the new halo design, these projector headlights display a more intense and luminous beams that will brighten the road at night. These GMC Sierra halo feature an all new ultra bright SMD LEDs that are brighter, cooler, and longer lasting than your standard LED bulbs.